This cocktail really came from the evening of chocolate alchemy Mrs Romance and Steph from LipstickAndCake.com attended recently. While creating a range of wild and wonderful chocolate bar toppings at a Wonka event, they started talking about popping candy and how much fun it was to eat. Talk swiftly moved into more grown-up realms and they wondered if they could pair popping candy with alcohol. Wouldn’t it be fun to enjoy a delicious cocktail and experience that weird popping crackling sensation in your throat at the same time? To keep the theme of kids’ lollies and chocolate delights going, we thought we’d create a sweeter, creamier cocktail with our new ingredient. 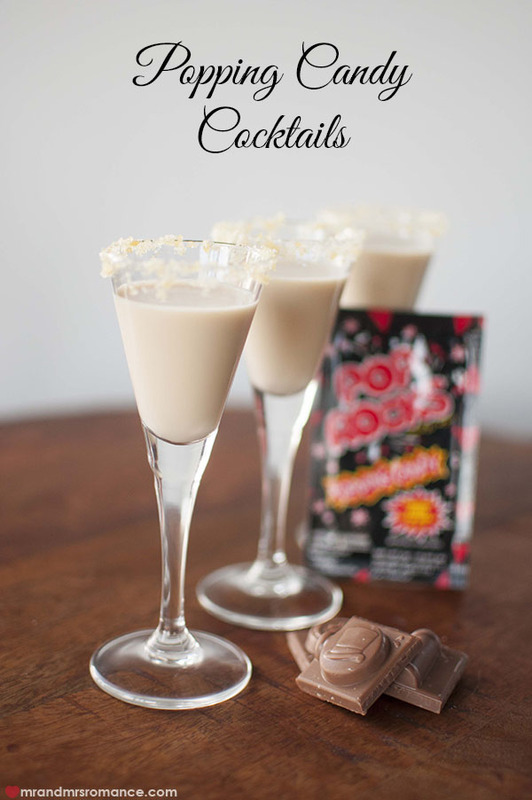 The L.A.C choc-nutty popping candy cocktail! Makes about 3 small cocktails… or 1 big one! Rub the rim of your glass with the lemon to wet it. Push the edges of the glass into the popping candy. 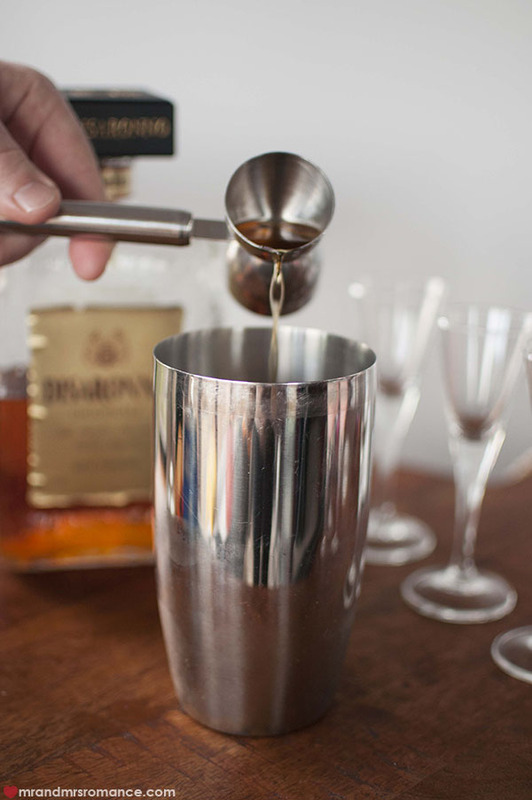 Pour all the ingredients over ice into a cocktail shaker and shake well to combine. Pour carefully into the glass. 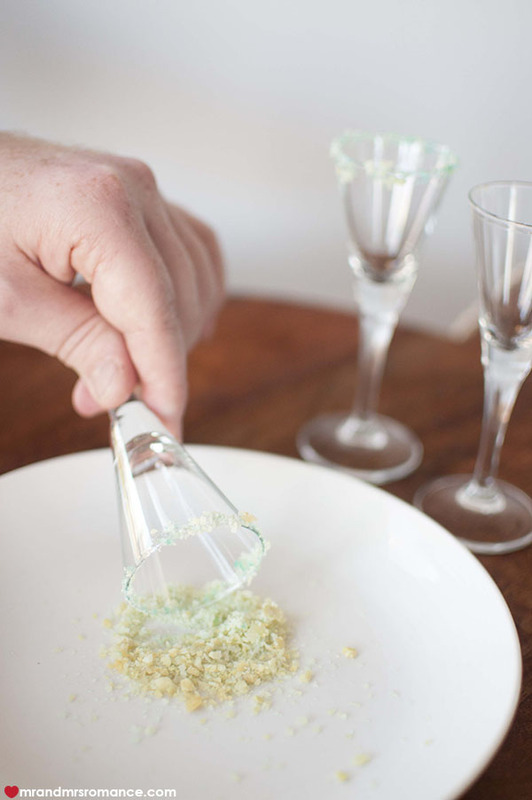 Tip: when you’re coating the rim of your glass, hold the glass at 45 degrees and roll it in the candy. 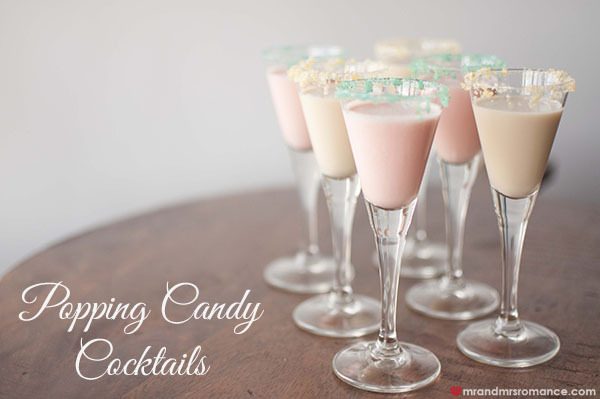 Pushing it horizontally will crush the candy, will only garnish the top part of the glass and can also cause too much of the candy to go into the drink. 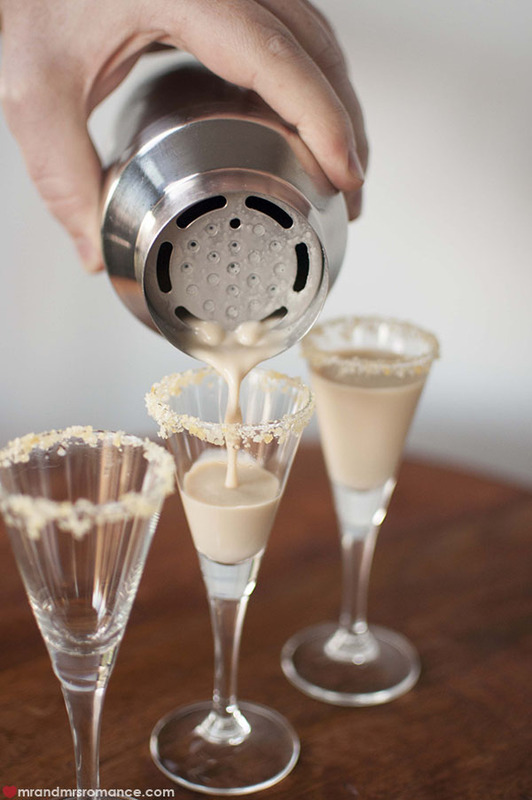 You can also make this drink with Frangelico, which would give this a more hazelnutty taste. We tried adding a ½ measure to the existing ingredients too, and it was quite nice. 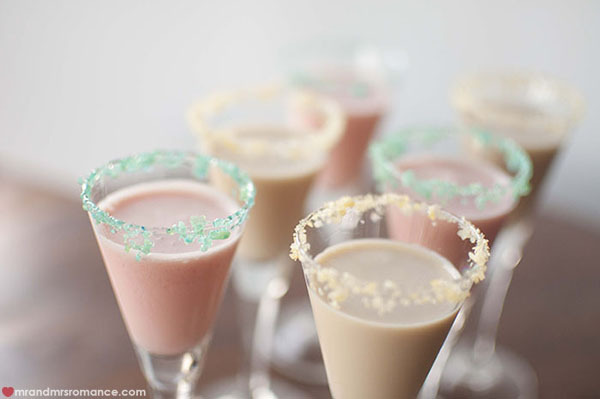 This is a very tasty fun cocktail – perfect for mid-party celebrations or even as a dessert cocktail. Super Steph has hold of the handlebars of the sister of this cocktail creation – the L.A.C Strawberries and Cream Popping Candy Cocktail – over on LipstickAndCake.com. Go check it out. It’s delicious! What was your lolly of choice when you were growing up? Were you a pick-n-mix kinda kid or did you go for a single-sweet variety? Tell us in the comments! 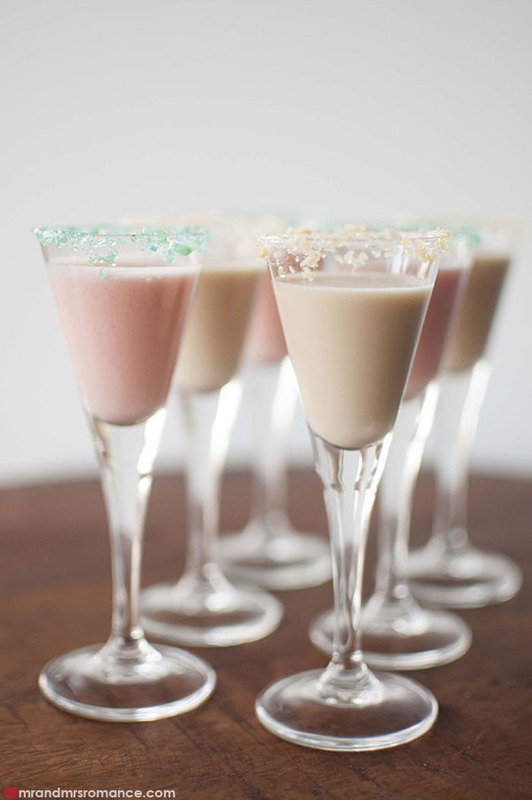 For more cocktails and mixing tips, get our cocktail ebook here: How to Host the Perfect Cocktail Party. I can’t handle too much dairy and I’m not a creamy cocktail kind of girl BUT this sounds super delish! Would make a lovely dessert alternative. Pop it to me! I totally want to try this now! I loved Sherbies and still do! Now I can’t even buy them on their own, they put them in with redskins and milk bottles! I mean what’s that about? I’d love to have a sherbet cocktail!! That’s ridic, Fee! Can’t believe you can’t buy Sherbies on their own anymore! It’s a sin I tell ya! As for the sherbert cocktail, it reminds me of the homemade instant limoncello/vodka we’ve written about. We used lemon sherbets – another favourite lolly of ours! It is totally a sin! What is this drink you speak of? Please link me up! Thanks for replying and have an awesome weekend! Hi Fee! It’s called dishwasher vodka, which sounds appalling but is safe to drink, promise! You basically use the heat and gyration of the water in an empty dishwasher to melt lollies you put in a bottle of vodka. 1 cycle and hey presto! Enjoy, and have a lovely weekend too! 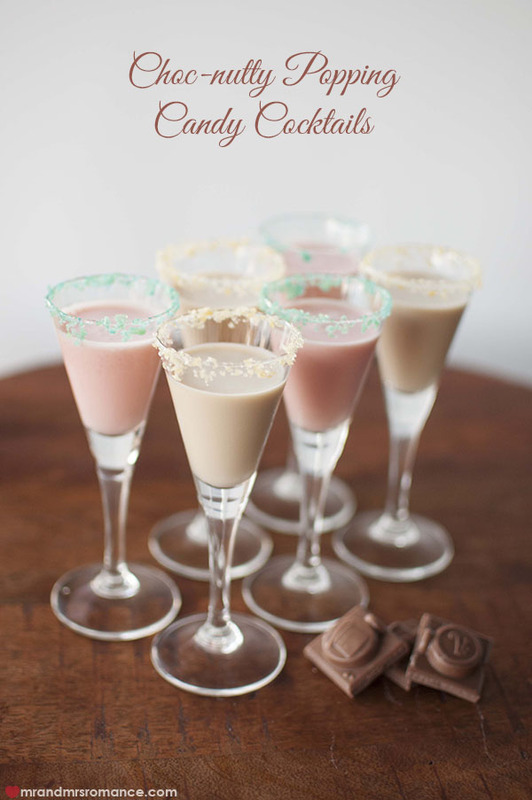 Chocolate, popping candy and a cocktail glass sound like a trifecta of perfection to me. Friday night’s alright with one of these babies. Hope your weekend goes with a pop! Too right, Sam! You guys’ll have to come round for one or two… or three soon. Maybe we can sort something out before we all head off on our jaunts? Holy cow, that’s obscene! 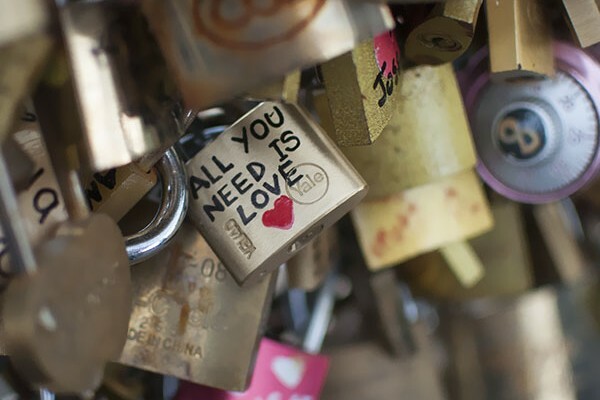 But in the best possible way. I try to steer clear of sugar so this would be a very special occasion drink for me – and I would then drift into a very pleasant coma-state. Great idea to serve as an alternative to dessert though – what a fun way to end a dinner party! Oooh! 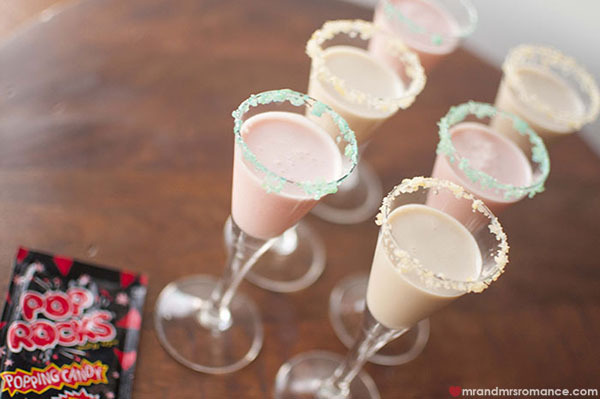 Popping candy margaritas! That sounds bloody awesome, Sonia! I love a good margarita… almost as much as Mrs R. I think I have a photo of her in San Diego with one so big it’s served in a fishbowl! Pop Rocks Rock! This recipe looks delicious. I will have to get my husband to make this! How much fun are they, Stephanie?! I love it when you get a pop rock that’s just about to go and you bite it. Makes an extra-loud pop! Let me know how you get on making them. It really is the best! I want one right now.. yes it’s 9:10am but I don’t care! Ha ha! Breakfast cocktail and breakfast candy! No wonder we get on, Steph!